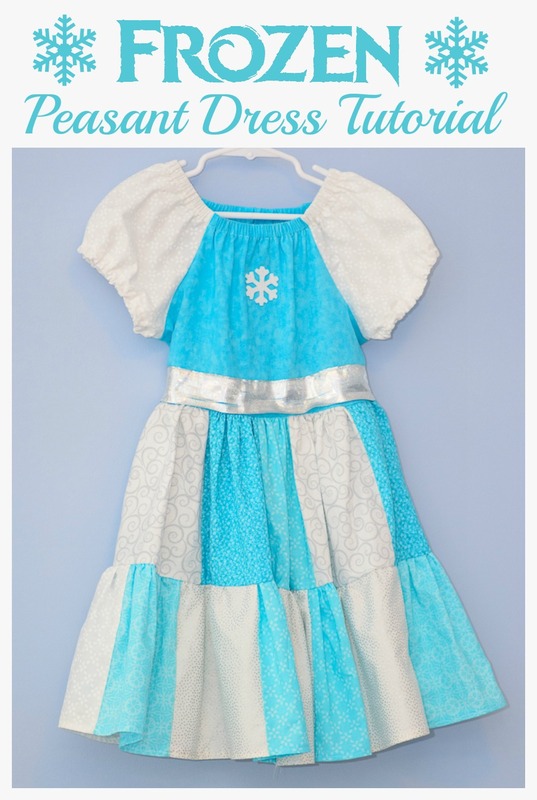 As the mom of five girls, Frozen took over our house in a big way. Elsa and Anna dolls litter my hallway, the movie runs on a constant loop in my car, and not a day goes by that I don’t hear the question, “do you wanna build a snowman?” You can just imagine the fan-girling and shrieking that occurred in my house when the new trailer showed up in my inbox one morning. To say they were excited is probably the understatement of the year, March 13th is circled on our calendar and they are counting down like it’s Christmas. 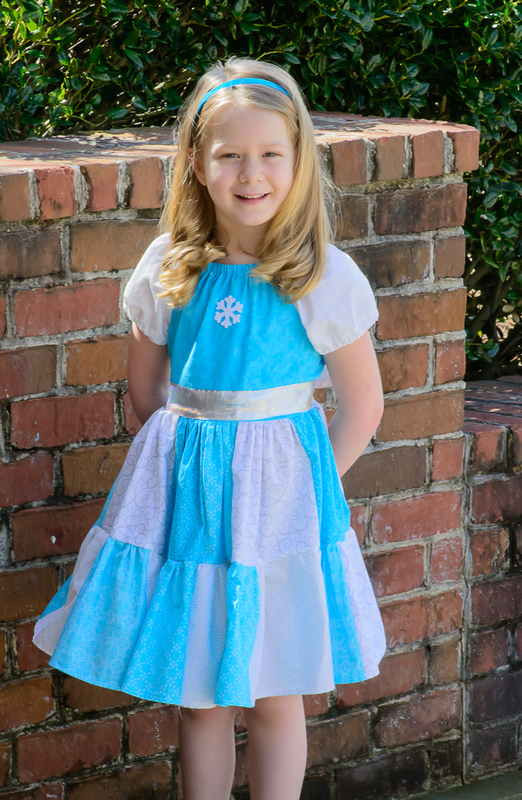 Over the weekend, my 4 year old asked me to make her an Elsa dress that she could wear to see the Cinderella movie and Frozen Fever. She cuddled up on my lap, batted her eyes and I immediately melted and gave in. Of course I would make her a dress. The problem was that time is not my friend lately, I have a 1000 deadlines, it’s my last week of teaching and I haven’t seen my husband in forever so I had to make something that was quick and easy but captured the essence of Elsa so my girl wouldn’t be disappointed. 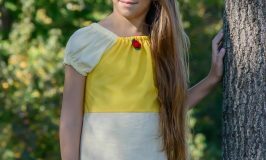 I came up with this adorable peasant dress that I think just nails what I was trying to accomplish and my daughter absolutely loves it! 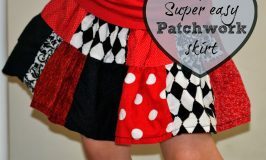 First thing you need to do is follow steps in this tutorial for the Super Easy Patchwork Skirt, omitting the steps for creating a casing for the elastic and sewing the skirt together. 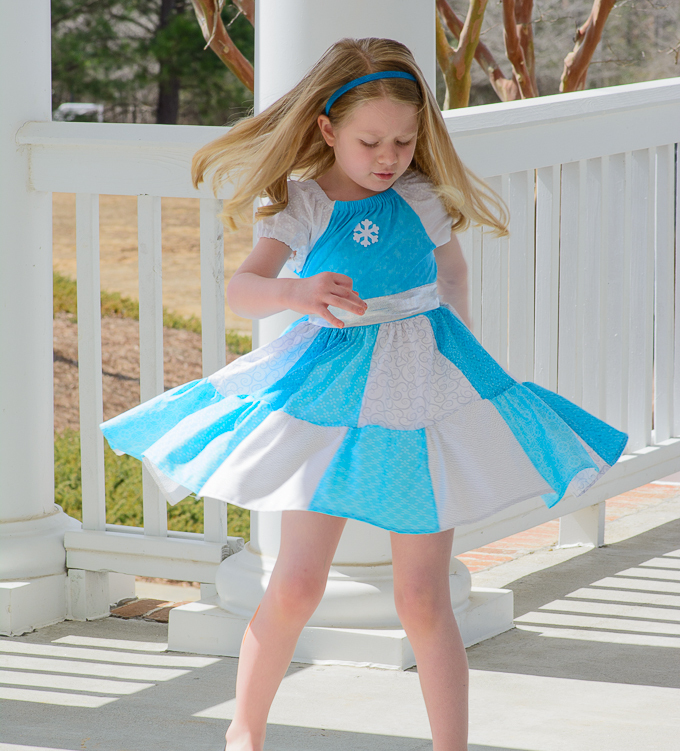 To create the look and feel of Elsa choose aquamarine, white and silver fabrics. 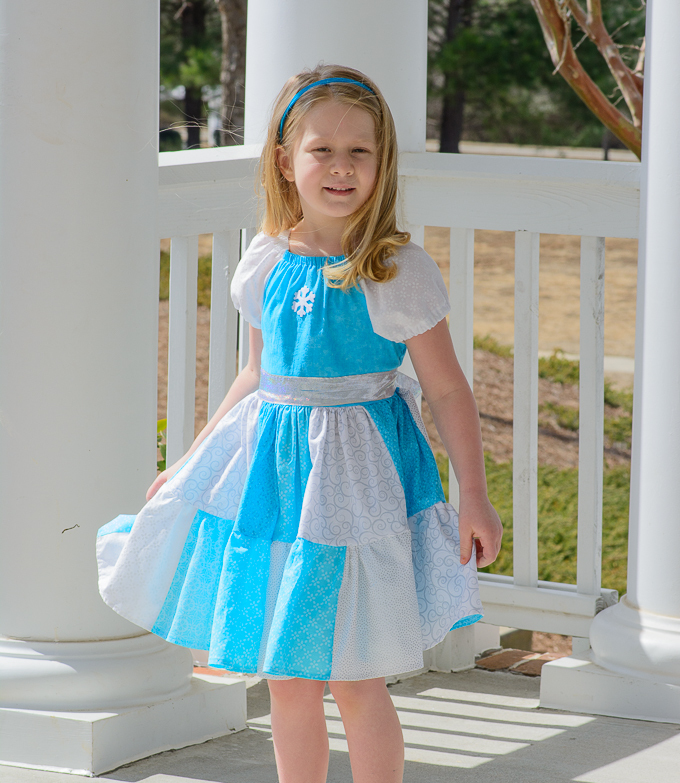 Lightweight cotton fabrics do the best with this dress. 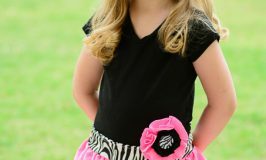 Next gather the top row of your skirt the same way you did with the bottom row. 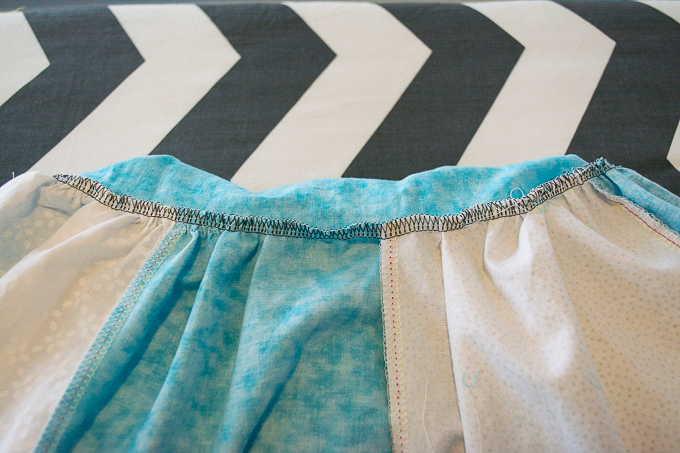 Line up the raw edges of the skirt, right sides together and stitch the skirt closed. Set aside, we will attach it to the bodice later. Now we will make the bodice of the dress. Use coordinating fabrics for the bodice and sleeves, I just used extras of what I had already incorporated in the skirt. 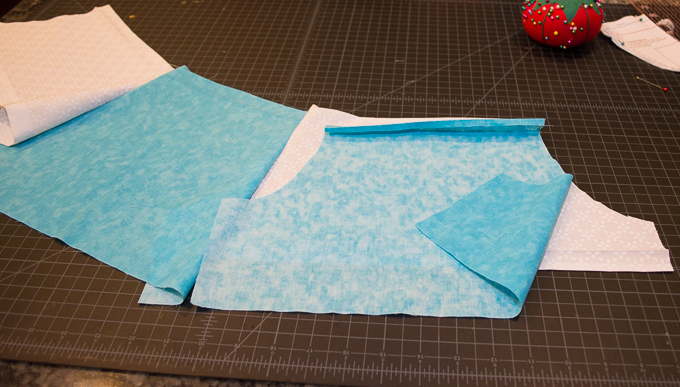 Fold your bodice pieces in half, wrong sides together, and line up the raw edge with the edges to your right. 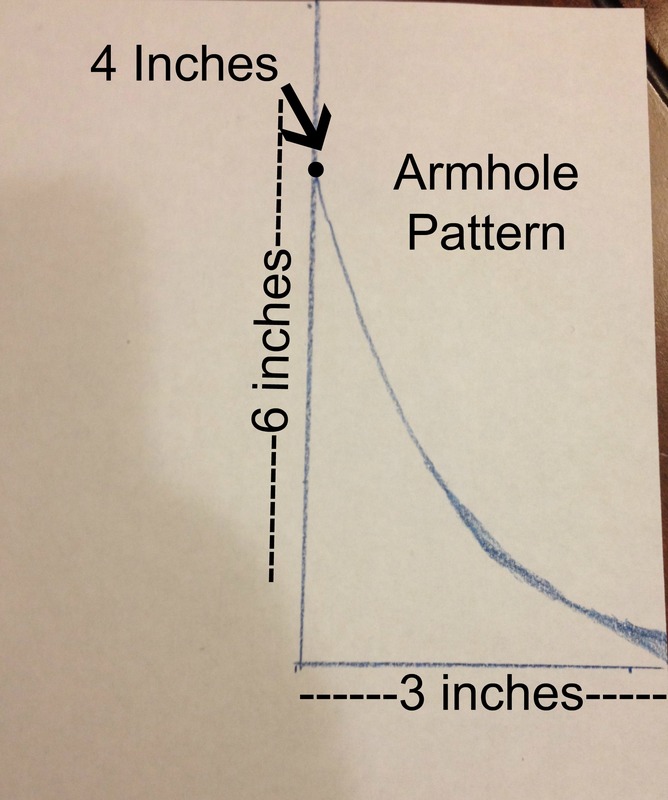 Place your newly created armhole pattern at the top, pin in place and cut out, repeat for the other piece and for the sleeve pieces. 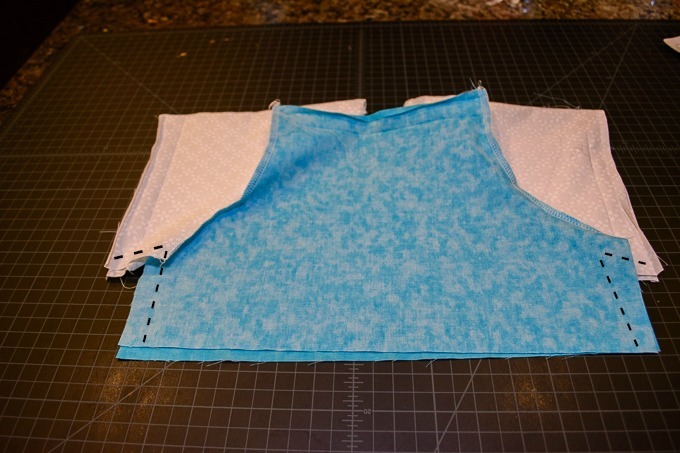 Open your bodice piece and press 1/4 towards the wrong side along the TOP ONLY. Press another 3/4 inch to create the casing for the elastic. Repeat for the other piece. Open your sleeve pieces and press 1/4 towards the wrong side along the TOP and BOTTOM. Press another 3/4 inch to create the casing for the elastic. Open up all folds of your bodice and sleeve pieces. 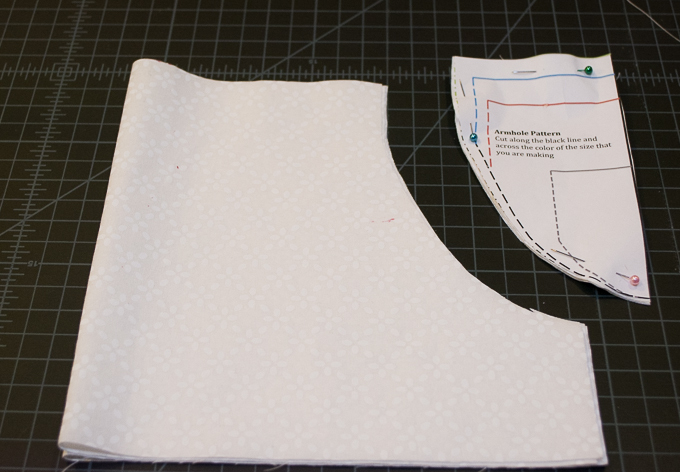 Take one bodice piece and one sleeve piece and pin them together along the curved lines, right sides together. 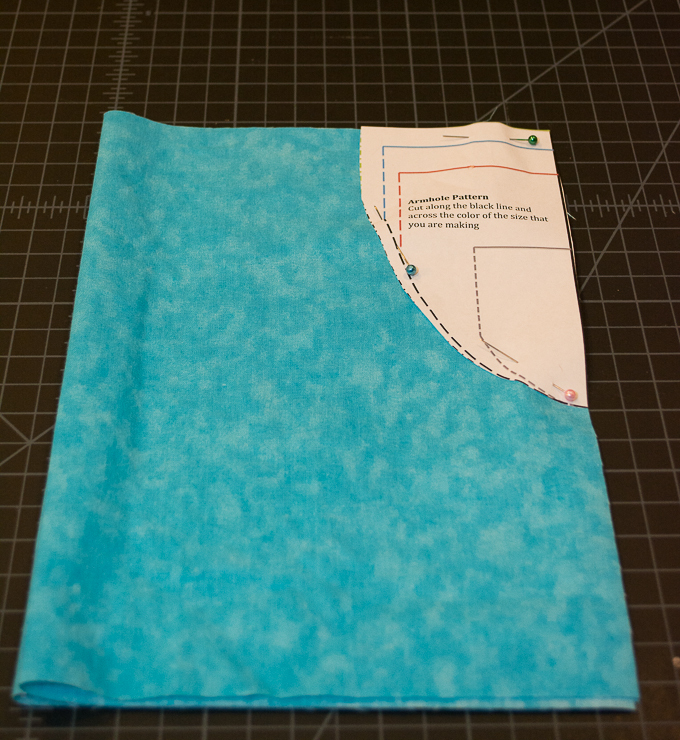 Stitch or serge together using a 1/2 seam allowance. 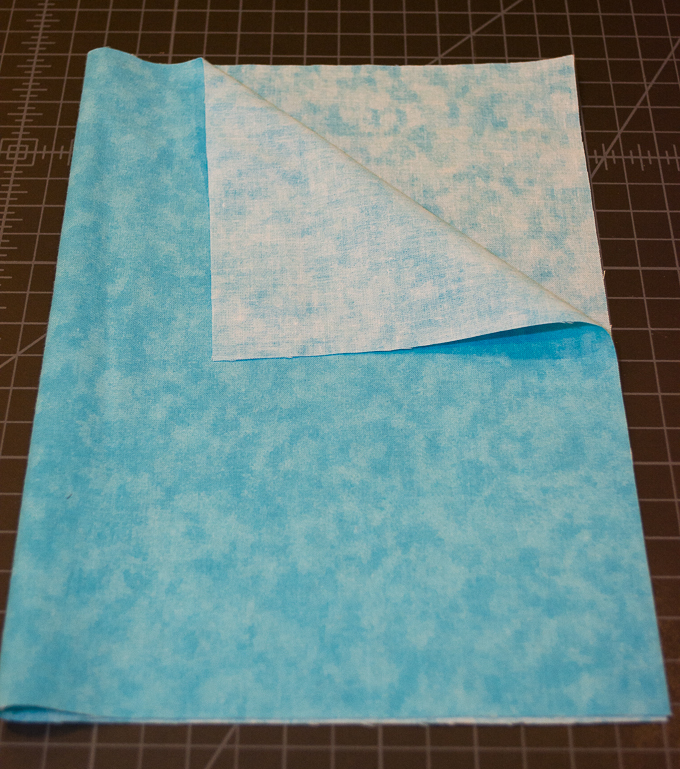 Finish with pinking shears or your favorite finishing stitch. Repeat for the other sleeve on the other side of the bodice. 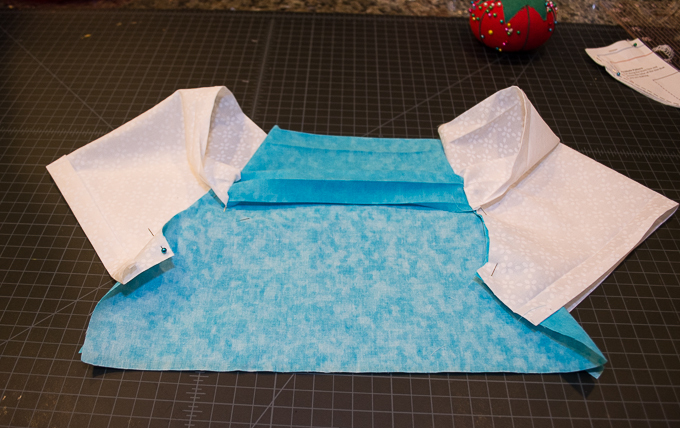 Lay the bodice with attached sleeves on your surface, right side up. 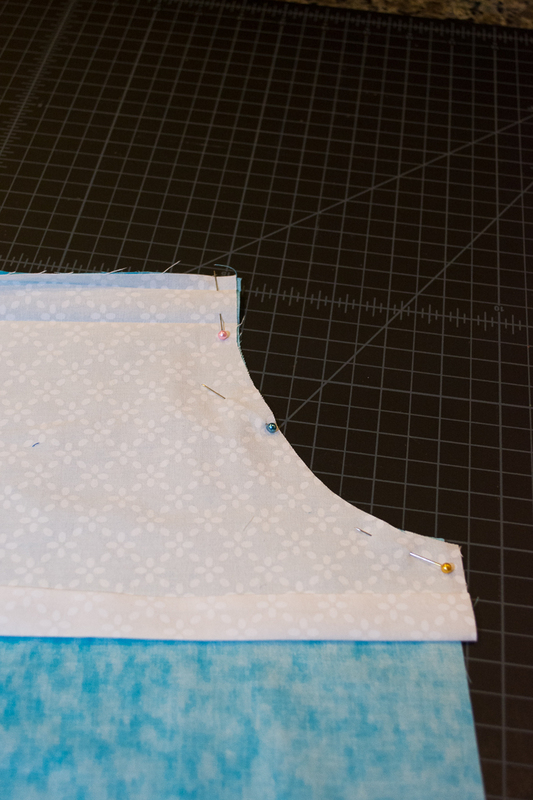 Place other bodice piece on top of one of the loose sleeve ends, right sides together. 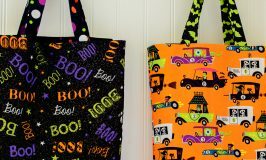 Pin along the curved lines and sew together per the above instructions. 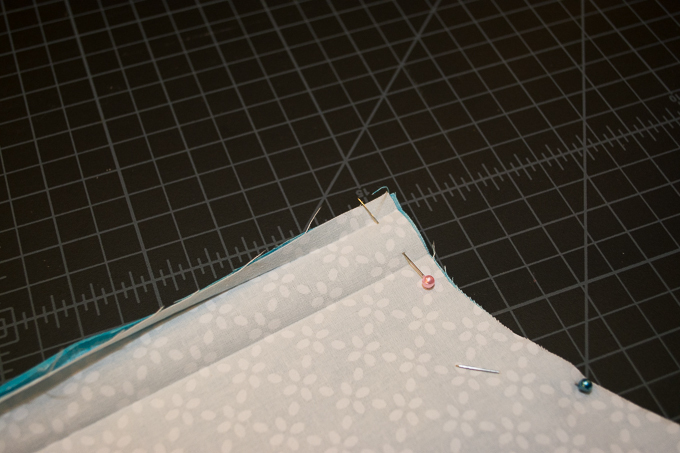 To add the final sleeve, place the loose sleeve on top of the bodice piece where there is no sleeve, right sides together, and pin along curved edges. Stitch together the same way you did before. Line up both sides of the sleeves and bodice pieces, making sure all folds are open and seam lines are matched properly. 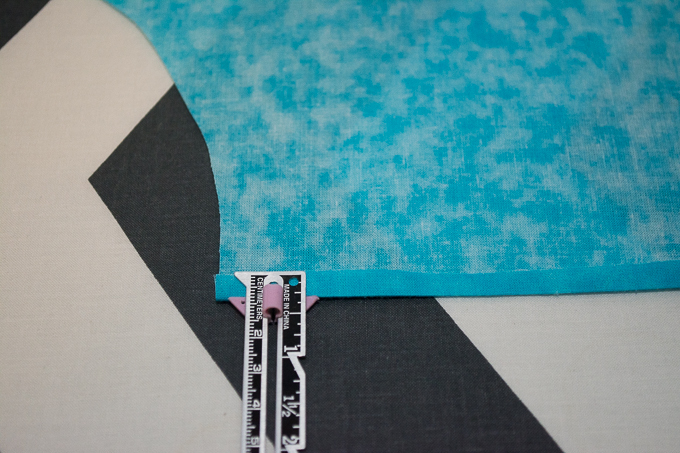 Use a 1/2 inch seam allowance and stitch from one sleeve down to the bottom of the bodice. Repeat for the other side. 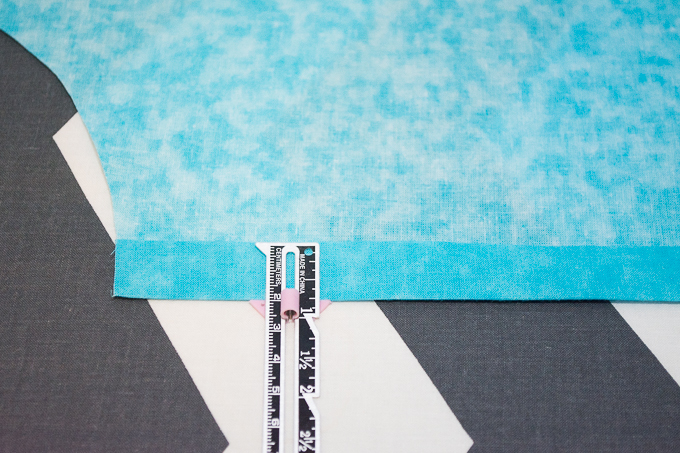 To add the skirt to the bodice piece, place the skirt and bodice right sides together and stitch or serge together with a 1/2 inch seam allowance. 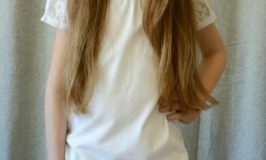 Fold the neck hem along the pre-ironed creases, pin in place and edge stitch around the neck hem, leaving a one inch opening to thread elastic through. Repeat for the sleeves. Thread elastic through neckline and overlap the ends. Sew a stitch over them and tuck into the casing. Close the casing with the same edge stitch you used on the neckline before. Repeat for each sleeve. 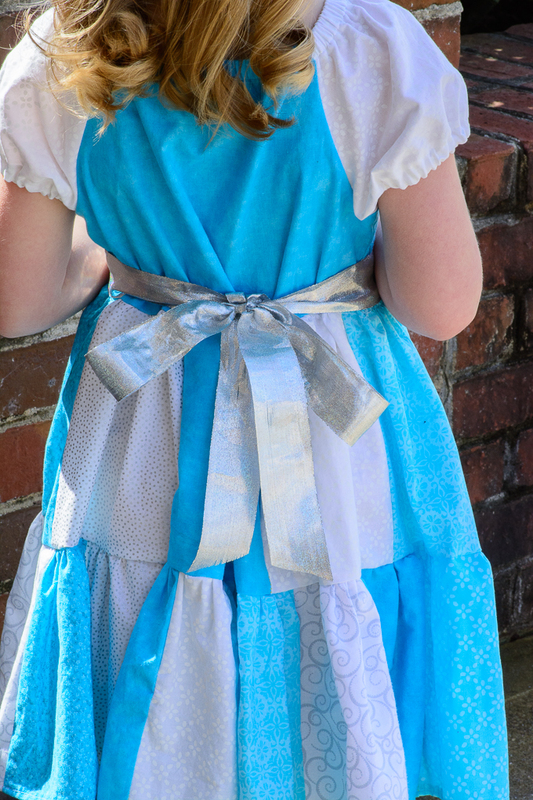 To add a ribbon sash, cut 3 yards of silver ribbon (or other coordinating color) pin along the line where the bodice and skirt are attached. Stitch along the top edge of the ribbon only starting on one seam and ending on the other, leaving the ribbon loose in the back. That’s it, it seems like a lot of steps, but it’s actually quite easy! Happy sewing! Oh how I wish I sewed! 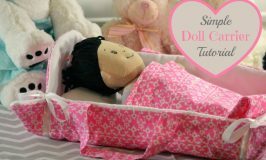 Sending this tutorial to a friend and hoping she will make one for me. ;) Thanks so much for sharing on Show Me Saturday! Ashley ~ 3 Little Greenwoods recently posted...Designer Insights ~ Featuring ME!